Cut your avocados in half lengthwise and remove the pits. Rub the insides of the avocado with a few drops of lemon juice from a fresh lemon slice (If you are eating these right away, you can leave out the whole lemon part - the lemon just helps keep the avocado from turning brown). 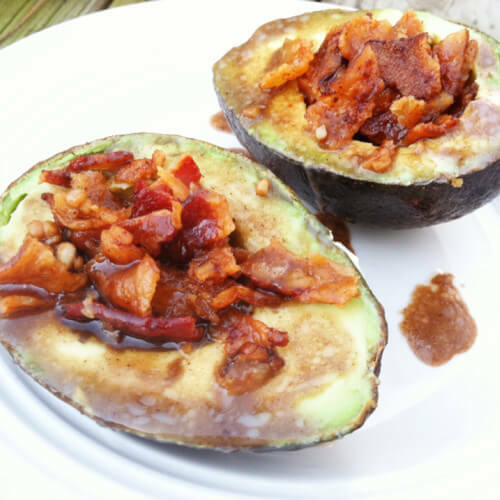 Crumble the bacon and stuff it into the avocado half where the pit was – use one piece of bacon per avocado half.